WIC benefits are not limited only to food. Participants have access to a number of resources, including health screening, nutrition and breastfeeding counseling, immunization screening and referral, substance abuse referral, and more. Find more information here. Supplemental Nutritious Foods: WIC food packages are designed to supplement with specific nutrients that benefit WIC’s target population’s diet. Foods include infant cereal, iron-fortified adult cereal, vitamin C-rich fruit or vegetable juice, eggs, milk, cheese, peanut butter, dried and canned beans/peas, and canned fish. Soy-based beverages, tofu, fruits and vegetables, baby foods, whole-wheat bread, and other whole-grain options were recently added to better meet the nutritional needs of WIC participants. More details about WIC Food Packages, including exclusions, can be found here. Getting Supplemental Nutritious Food Benefits: In most WIC State agencies, participants receive paper checks or vouchers to purchase food, while a few distribute food through centralized warehouses or deliver the foods to participants’ homes. A wide variety of State and local organizations cooperate in providing the food and health care benefits, and 46,000 merchants nationwide accept WIC vouchers. All WIC State agencies have been mandated to implement WIC electronic benefit transfer (EBT) statewide by October 1, 2020. EBT uses a magnetic stripe or smart card, similar to a credit card, that participants use in the check-out lane to redeem their food benefits. EBT provides a safer, easier, and more efficient grocery experience and provides greater flexibility in the way WIC participants can shop. 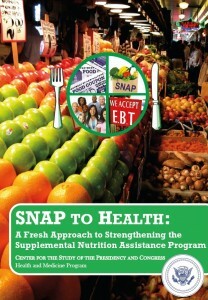 Find out more and check if your State currently supports EBT here. While WIC recognizes and promotes breastfeeding as the optimal source of nutrition for infants, less than 30% of infants are breastfed at 1 year of age. WIC mothers are encouraged to breastfeed their infants, unless medically contraindicated. Pregnant women and new WIC mothers are provided breastfeeding educational materials and support through counseling and guidance. For women who do not fully breastfeed, WIC provides iron-fortified infant formula. WIC State agencies are required by law to have competitively bid infant formula rebate contracts with infant formula manufacturers. This means WIC State agencies agree to provide one brand of infant formula and in return the manufacturer gives the State agency a rebate for each can of infant formula purchased by WIC participants. The brand of infant formula provided by WIC varies by State agency depending on which company has the rebate contract in a particular State. Special infant formulas and medical foods may be provided when prescribed by a physician for a specified medical condition. Explore the benefits of breastfeeding and find helpful resources here. Administration of WIC benefits, including nutrition education and counseling at WIC clinics, and screening and referrals to other health, welfare and social services varies by location. Visit the WIC Works Resource System here. Vaccinations: Because WIC is the largest single point of access to preschool children nationally, it is in a unique position to provide access to the high risk population most in need of immunizations. WIC has a helping role in this process by encouraging parents to bring their infant/child’s immunization record to WIC appointments so that WIC staff can screen the record as part of the WIC certification process and provide a referral as appropriate. Find more information here. Nutrition Services Standards: Standards are designed to help State and local WIC agencies self-assess how well they currently deliver a wide range of nutrition services and how to improve the delivery and quality of nutrition services. The Standards represent a wide range of performance practices used to deliver quality WIC nutrition services and are flexible enough to be used in the many types of agencies that administer the WIC Program. Find more information here. Revitalizing Quality Nutrition Services (RQNS): An evolving process of continuous program improvement involving partners at the Federal, State, and local levels to enhance and strengthen the effectiveness of WIC nutrition services so that WIC will continue to be the premiere national public health nutrition program, helping participants to achieve and maintain optimal nutritional status. Find more information here.